Hotel information for AMERISTAMP EXPO 2006 is now available. The table of contents for the October 2005 issue of TPE has been added. The F�d�ration Fran�aise des Associations Philat�liques has responded positively to an invitation to send a French judge to participate in AMERISTAMP EXPO 2006. They have appointed Bernard Jimenez, a well-known member of their executive and an international judge, commissioner and accredited Secretary to FIP exhibitions. Bernard is fluent in French, English and Spanish. The results of the 2005 AAPE Youth Champion of Champions held at ROPEX are now online. Congratulations to Dzintars Grinfelds of San Francisco who took the top award with the exhibit, Central Lithuania. We are pleased to present an electronic version of U.S. 90� Stationery; Reay and Plimpton Issues - Source Material and Usages, a single-frame exhibit by Bob Markovitz. A new synopsis page example has been added and two others updated. The table of contents for the July 2005 issue of TPE has been added. A request from the organizers of FLOREX to re-certify it as a World Series of Philately Show has been approved by the APS Board of Directors. The American Association of Philatelic Exhibitors (AAPE), has announced the AAPE has accepted an invitation from The Royal Philatelic Society of Canada and the Greater Toronto Area Philatelic Association to hold its annual AMERISTAMP EXPO in Toronto April 7-9, 2006. See the press release here. The Prospectus and Entry Form for AMERISTAMP EXPO 2006 are now available. Just announced - AMERISTAMP EXPO will have a 1-Frame team competition in 2006. Note that Mark Banchik has taken over the Exhibitors Critique Service. The critique (feedback) form has been changed to reflect this. The table of contents for the April 2005 issue of TPE has been added. 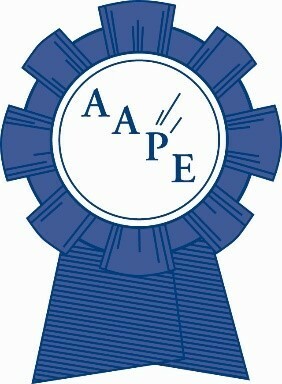 Criteria for AAPE Awards have been posted in PDF format. Requirements for WSP and Local/Regional shows are available. A number of typographical error have been corrected. The table of contents for the January 2005 issue of TPE has been added.